Picking the right stroller is definitely a tough thing to do, I’ve been there. There are are hundreds (if not thousands) of possible choices and it’s easy to become confused. Especially minding the fact that the companies try to improve their products each year, so the same model from 2019 may be quite different from the previous one. You don’t want to regret your choice so you look to pick the best stroller for your baby’s comfort (and yours too, believe me), but the number of strollers is overwhelming? I’m here to help! Check the top5 strollers for 2019. Convertible stroller H 43.5 x W 24 x L 39.5 in Nuna Demi Grow is one of the best convertible strollers I’ve ever had. It comes with 23 seating configurations to fit any kind of a growing family. 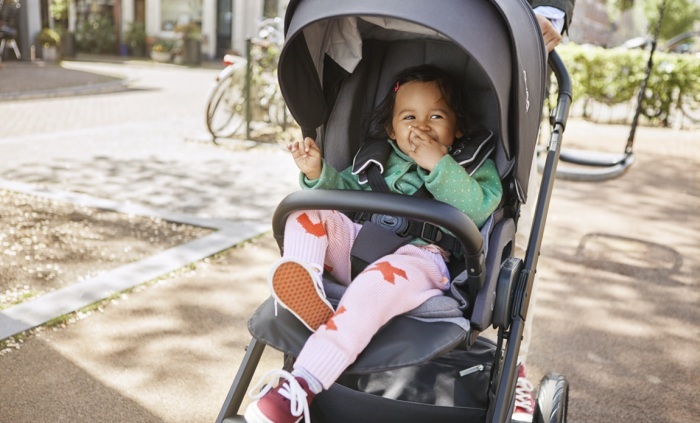 The Nuna Demi Grow 2019 stroller is a fancy new double stroller, capable of accomodating two kids – whether they are twins or close-age siblings. It carries two full-sized seats, bassinets or baby car seats at a time. The seats have the same size, the weight limit has been set at 50lbs. The Nuna’s canopy is really impressively big. It has a nice sunvisor and a drape that may be pulled out. This stroller is suitable for newborns thanks to the fact the recline may go to a fully flat position. One of many impressive things in the Nuna Demi Grow 2019 is the seat liner. If you zip it off, you will see there’s a mesh seat below. This will be great during summer for sure. The number of possible configurations: 23. Simply amazing, the Demi grow may be used as a single, double (or twin!) stroller to fit any kind of situation or needs. Nicely done, really. The Nuna Demi Grow has an adjustable handle bar and leg rest. You can easily swing away the bumper and the folding process is really easy too. It has an auto-lock option and a standing fold. Wheels are foam-filled and work great with the all-wheel suspension, providing a great riding experience. Last, but not least – the basket is extremely large, so it will easily fit whatever you need to take with you, even a big bag of diapers. 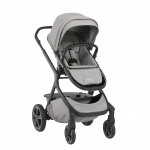 Double: This stroller comes with a nice feature of compatibility with all Pipa baby car seats produced by Nuna. If you’d like to make the Nuna Demi Grow a double, just attach the car seat, using one of the adapters that come included. Twin: The Nuna Demi Grow includes a stroller seat, but you can buy a Sibling Seat seperately to make it a great twin-stroller. There are two baby car seat adapters included, so you use the Pipa baby car seats to cart your twins right away. A DreamDrape – one of the things that made Nuna famous, completely covering the baby to give it the comfort and privacy it needs during a nap. The comfort of your toddlers is highly important, but you’d surely wish to get some too and that requires a smooth riding experience. The Nuna Demi Grow tires are foam-filled and cooperate perfectly with all-wheel suspension, making the ride smooth wherever you are. The fenders will protect your little ones from any kind of dirt, and at the same time the wheels are protected with hubcaps. Critically acclaimed UPPAbaby VISTA got even better in this version. The UPPAbaby VISTA 2019 goes forward with new features. Its bassinet got extended, the stroller got itself some accents from genuine leather and you can choose one of many great colors. I have to say that the previous version of this versatile stroller was great already, but UPPAbaby managed to make it even better now. In terms of functionality, the UPPAbaby Vista 2019 is almost identical with the 2017 model. So what makes it different and puts on a bigger smile on my face? The UPPAbaby VISTA 2019 now shines thanks to three, wonderful new colors. We also have a comeback here, Denny Red from 2015 is available once again. All the current Vista models have a handlebar and bumper bar covered with genuine leather, while the details in 2017 version details were made with foam. 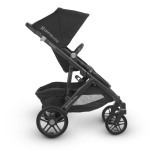 All 2019 strollers have silver frames, except the Jake Black that has a black frame. The leather used in all color versions is top-quality. Full-grain cow hide leather has been used and tanned without using any chemicals to get the REACH certificate and meet the strict EU regulations. I simply admire it! 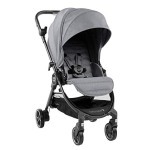 It looks amazing, classy and has a great touch you will love while pushing this stroller. Absolutely outstanding. Small changes make a huge difference. Apart from the leather details, the UPPAbaby VISTA got another important update, the extended bassinet, which is bigger than the one seen in the previous model. The bassinet was narrower on the bottom before, but now it has the same length. This change allowed to add more or less 2.5 inches and I really love it. Why? It will fit your baby for a longer time. Usually it’s 4 or 5 months, but this change allows to nearly double that time (of course this depends on your baby’s size). The UPPAbaby Vista front wheel was upgraded so it matches the rear one now when it comes to tire shape. Also, both tires have a new tread. The handlebar is now easily replaceable if it gets worn out. UPDATE: The stroller is made with a combination of magnesium and aluminium that make it light and durable at the same time. Lightweight stroller Super-lighweight stroller with all-wheel suspension and big storage basket. 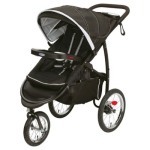 Baby Jogger City Tour LUX has 5 riding options and is ultra-compact. 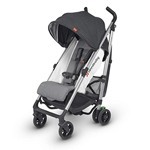 The City Tour LUX 2019 is a compact stroller for those who appreciate a small stroller that has all the features. Numerous way of riding and the possibility of using it from birth make the City Tour LUX a perfect choice for any mom. Some parents decide to buy a second stroller that would be easier to travel with. This stroller solves this issue as it provides you both functionality of a full-sized modular stroller with convenience of a lightweight one you can fold and carry around. 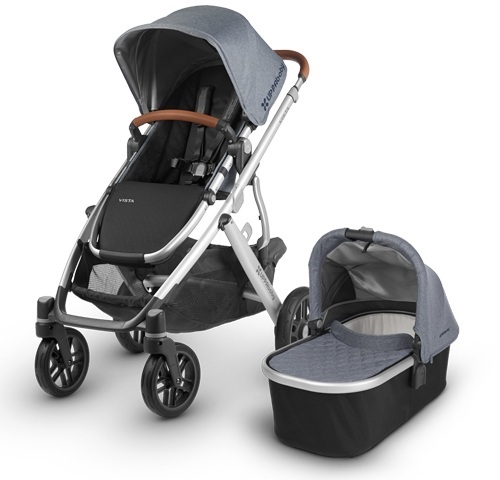 What makes it stand out from most lightweight strollers is the fact you can use the City Tour LUX 2019 for your newborn right away. The seat may be turned to a fully flat position so you can use it until your toddler grows up a bit to sit upright. You can attach the seat in two ways – facing the little one forward so it can enjoy the views or he may be facing you, putting a smile on your face anytime you interact. Depending on your needs, there’s a foldable bassinet you can buy separately if you’d like to provide your little one with extra comfort. 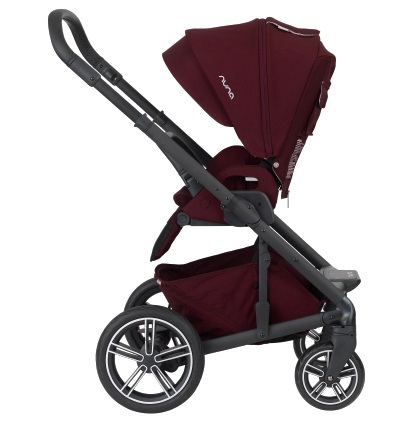 You can also transform the City Tour LUX into a travel system as adaptor for Baby Jogger City GO or Maxi Cosi are also available to make putting your baby in and out from your car easy and convenient. What has changed in the Baby Jogger City Tour LUX? Convertible stroller Bugaboo Fox looks stylish and has completely customizable fabric, bassinet, canopy and other details. The Bugagoo brand is recognizable around the world. Here we’ve got something really unique and luxury that connects the best features of the Bugaboo Cameleon and Buffalo series. I must admit it’s just astonishing. 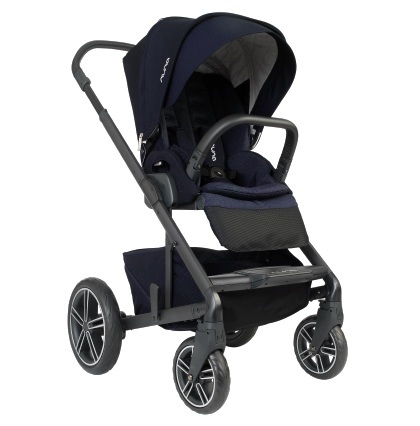 Whatever your lifestyle is, this robust, lightweight stroller will surely fit your needs. So what does the fox say? The new Bugaboo Fox 2019 may be customized in nearly any aspect. Starting with the base color, fabric used for the seat, sun canopy, ending with with grips or even wheel covers. You can build your stroller in so many ways that you will definitely find a build that will suit all your needs with no compromises. You’ve got three types of fabric to choose from: Core, Premium or Signature, varying in price. Actually, there are so many options to build this one, it’s possible to become confused. Bugaboo helps here as there are three preconfigured options available, prepared on the basis of top picks. All the parts may be easily changed when needed – between the seasons or when you have another baby. I really like Bugaboo’s approach to ecology. Recycled materials have been heavily used for the production of the new Bugaboo Fox 2019. It’s important to care about the planet, I don’t want my kid to live in a world full of waste. As an example: if you decide to get a single color canopy, here’s a nice fact – it’s fabric has been made from 92 recycled PET bottles. The ergonomy of the seat and the bassinet is really outstanding, providing the highest comfort level. Really spacy when it comes to size with a padded top of the pillow give your little one the ultimate comfort during a nap while you’re pushing this stroller. The Bugaboo Stand provides the possibility of using the bassinet for overnight sleep. It’s also a great feature that the bassinet may be converted into the seat and the other way round). One-hand recline is really convenient and easy to use. There’s more for your comfort – the handlebar may be adjusted with ease to suit any parents height. 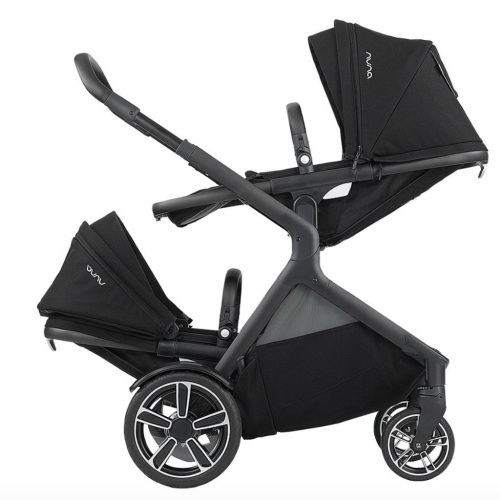 One more AMAZING feature – the Bugaboo Fox 2019 folds into ONE PIECE and may be folded while the bassinet (or seat) is attached. The unfolding process is also very convenient. 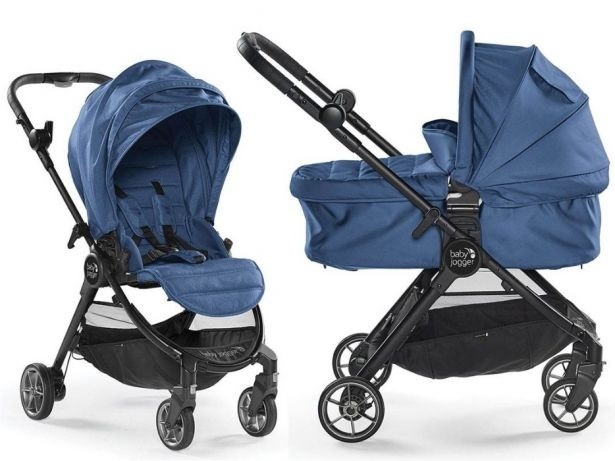 The Bugaboo Fox 2019 has the auto-lock options and stands folded. You’ll also find a big basket to carry around the things you need, an easy to use brake (even if you’re wearing flip-flops), a spacy canopy or a swing-away bumper bar. Note that, the handlebar is not reversible like the one found on the Cameleon, but it’s not a big thing. 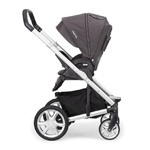 I have to put it straight – I’m almost sure the Bugaboo Fox 2019 will be one of the top-selling strollers. The structure of the front wheel is completely new in the 2019 model and looks outstanding. The handle- and belly bar are covered with leather, giving a really luxourious touch and look. Thumbs up. Convertible stroller 44.3″ H x 33.5″ L x 23.4″ W Nuna MIXX2 has multiple seating options – reversible main seat, bassinet, and travel system. Thus, this stroller is suitable for all family needs. It’s one of the best strollers I’ve ever used. Last one in the top5 strollers for 2019. 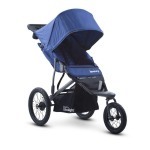 The Nuna Mixx2 stroller has a plenty of features to comfort your family anywhere you are. 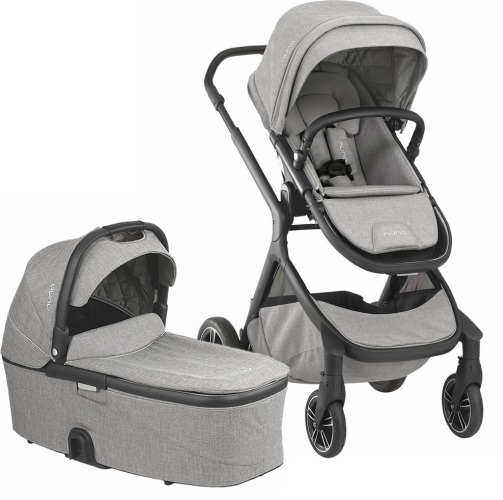 Impressive, beautiful design and ease of use make it one of the most popular strollers among parents who don’t want any compromises. 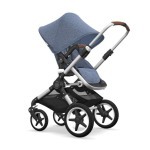 What’s new for the Nuna Mixx2 stroller? The Nuna Mixx2 has been designed to be used from day one until your kid reaches 50 lbs. There’s a plenty of possibilities to make this stroller suitable for a newborn. You can add a seperately sold infant insert or the Mixx bassinet (also sold separately). 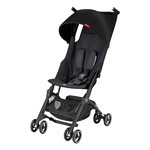 The Pipa car seat adapter make the stroller easy to use while travelling. 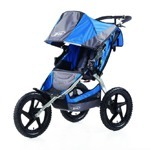 The Nuna Mixx2 really stands out from many other strollers available today. It has a big, comfy seat to accommodate your growing toddler all the way. The seat may be facing forward, so your kid could enjoy the views on the go, or facing you, so you could keep an eye on your beloved one anytime. It has a possibility to be reclined into five positions (also a fully flat one). The leg rest may be adjusted into one of three positions to fit your kid. If you adjust the footrest and the recline, you will give the baby a comfy napping environment, quite like in the bassinet. The Nuna Mixx2 has a big UPF50+ canopy that may be expanded and a viewing window made with magnetic mesh, providing extra ventilation. This makes it perfect for the warm summer days. When the weather gets nasty, you’re also good to go thanks to the rain cover that comes included with the stroller. The handlebar is easily adjustable from 38” to 42”, so the Nuna Mixx2 is perfect for parent of any height. Stoppping this stroller won’t be a fight for life, as it has been equipped with an easy to use foot brake. Wheels of the Nuna Mixx2 are foam-filled and work great with the suspension so you could go through almost all kinds of terrain nice and smooth. This provides comfort to you and your baby, and the bumps won’t interrupt his nap. 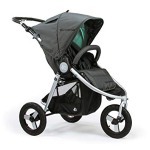 The Nuna Mixx2 stroller is a solid and robust stroller weighting 29.9lbs. It may be easily folded to a compact size, even while the seat is attached and has an auto lock option. When folded, it’s easy to roll it behind you like a rolling suitcase. The basket placed under the seat is impressive and huge, giving you the possibility to carry all the stuff necessary for your trip. There’s also a nice small pocket on the back of the seat to carry smaller things like your keys, wallet or smartphone which can be easily accessed at any time. The Nuna Mixx2 2019 got itself some pretty classy tuning. 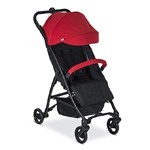 Now, you can pick one of available colors to make this stroller fit your taste and style. The new version looks absolutely cool and stunning thanks to the new detailing. 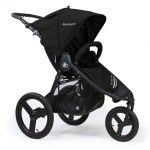 Leatherette bumper bar and handlebar and the black chrome wheels make it shine among other strollers like a top sportscar. The fabrics used have also been change to hand-picked tweed ones for extra softness and comfort. 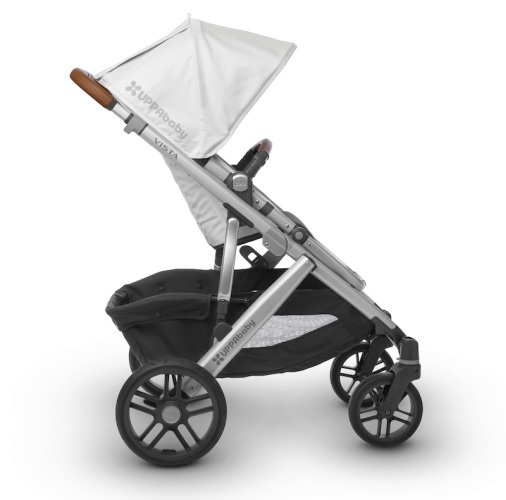 The Nuna Mixx2 is a fantastic stroller packed with highly useful features and combined with some extra classy look. I must admit such a combination stole my heart, as this one shines and glides, making the pushing effort actually pleasant! All of the above makes the updated Nuna Mixx2 one of the best choices – that’s why I’ve included it in my ranking. Without a doubt, the group of parents who are the happy ones to enjoy it will grow in time. Highly recommended choice!